Stephen Meyer speaks about the fact that world-class evolutionary biologists themselves are now finally acknowledging that the standard ‘textbook evolutionary theory’ (that had been indoctrinated into the general public through schools, ‘scientific’ documentaries, etc, etc) simply can not account for the various forms of life, after all. 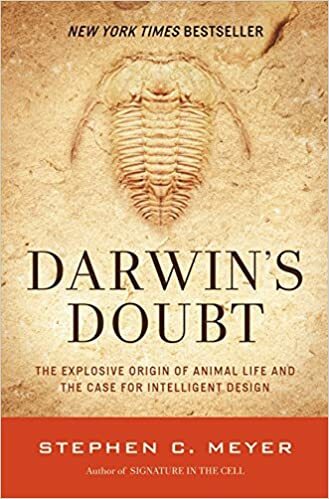 The central foundation of Darwinian evolution (natural selection acting upon variations / mutations) is finally being acknowledged by mainstream biologists, as lacking the creative ability that is necessary to account for the various forms of life. It is capable of causing diversity (eg. antibiotic resistance, variation within already existing species, etc), but not capable of creating biological novelty (eg. eyes, hearts, feet, differing body plans, etc, etc, etc). Stephen Meyer also speaks about the (currently) incomprehensibly sophisticated computer program-like coding systems recently discovered in the operations of the cell, that powerfully point TOWARD life having been designed, and AWAY from the belief that life is the result of an unguided process. He finishes off by highlighting recent research projects being undertaken by scientists taking a ‘design approach’ to biology. And why is “natural selection” “lacking the creative ability”? Because there is no such thing as “natural selection”. The whole thing is a hoax. Think about it: does the lion select the gazelle? No, the lion “selects” for food. The young, old, crippled, tired, thirsty, hungry, sick, or unlucky prey are all on the menu and, if main course is out of season, anything else would do. The strong today is the weak tomorrow and yesterday. The idea of “fitness” is laughable.